Our beautifully crafted metal belt buckles are the perfect gift for any occasion! 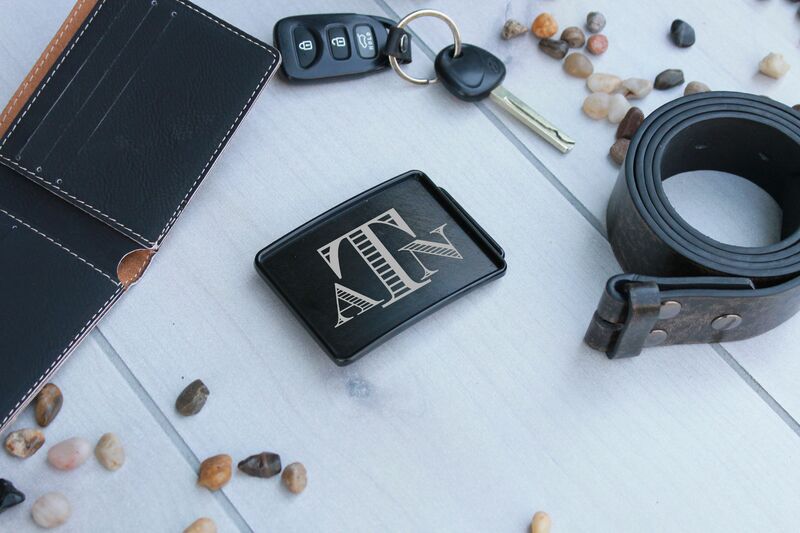 Laser engraving your loved ones initials, favorite sports team logo, or any other kind of image you may want to give a personalized, one of a kind flare to any attire they wear. Dimensions: Length- 3 1/2" x Height- 2 1/2"